NSMB Staff Picks: Omar Bhimji - Dec. 30, 2013, 12:33 p.m. I too love the Dickies shorts for riding. I run them through the wash a couple times to soften them up first though, they can be quiet stiff otherwise. Gear Shots: Urge All M helmet - June 26, 2013, 1:58 p.m. I love my Enduro-matic. I wonder how much cooler this one runs? 2013 Specialized Enduro Comp 29 SE - May 29, 2013, 10:38 a.m. Bent seat tube, how long can you get the seat? The Death of Freeride - Feb. 19, 2013, 6:28 a.m.
Freeride is not "dead", but the era in which it flourished is. No longer is 42lbs considered light, no longer do you session a jump for an afternoon, no longer do we push our bikes to the top of the mountain. 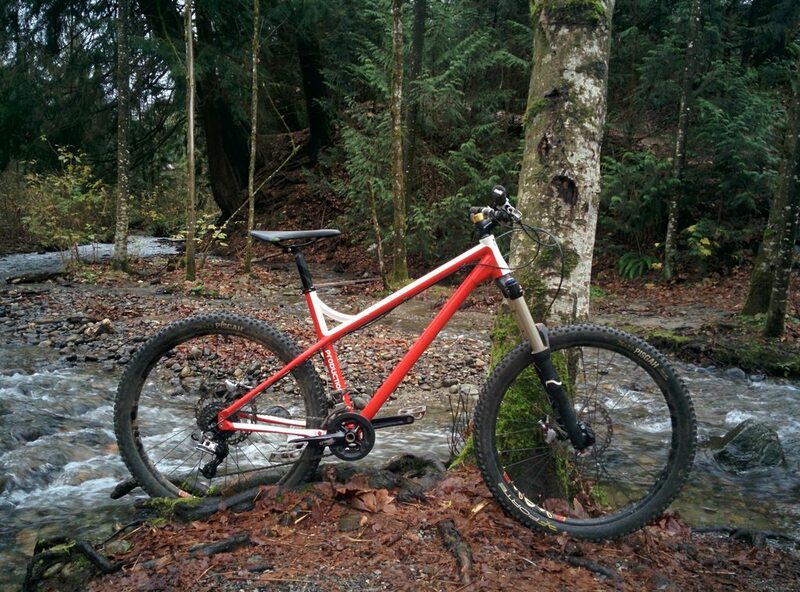 MTBer's today seem to be more focused with grams and seconds, than they do with having fun in the forest. landcruiser shocker - Jan. 5, 2009, 3:59 p.m.
running to improve riding - Jan. 12, 2017, 9:29 p.m.
What type of running ,mostly flat road ? or trails ? and what type of climb , flat FSR stuff or techy single track stuff . I'd start with a 5 min warm up at a comfortable pace and then do 30 sec ob/off intervals using the timer on my watch, for the remainder of the run. Flat, paved trails. Climbing was of the FSR variety. b/b armageddon! - Jan. 11, 2017, 1:24 p.m.
Enduro bearings also makes something similar but they seem to be the most expensive of the bunch. I have the Torqtite on my Shan and it was cheaper than the SRAM pressfit by a couple bucks. running to improve riding - Jan. 11, 2017, 8:45 a.m. Someone with more fitness knowledge than me once said "don't play insert favourite sport here to get in shape, get in shape to play favourite sport". A couple years ago I had the unfortunate pleasure of being away from my bike for a summer, so I ran instead. I ran about 8km, 3x a week, instead. When I was finally able to get back on my bike, extended climbs were a breeze. For once in my life it was my legs giving up before my lungs. The Decline of Vancouver. - Dec. 18, 2016, 3:56 p.m.
Angela Calla, the mortgage lady on CKNW, explained that if you bought a $750,000 property and qualified for the max interest free loan, that you would be saving approx. $200 a month on your mortgage payment and subsequently making a $600+ loan payment. Not worth it in my books. NBR Computer Games Thread - Dec. 9, 2016, 9:45 p.m. If you owned the OG Skyrim and the DLC you got SE for free… if you were a member of the PCMR. NSMB - 2016 - Hardtail Thread - Dec. 3, 2016, 5:54 p.m.
26", 2x, 9spd, no fun. NBR Computer Games Thread - Dec. 3, 2016, 4:13 p.m. I've been playing the shyte out of Skyrim:SE as of late. I started a new character and still have yet to finish the story line. NSMB - 2016 - Hardtail Thread - Dec. 3, 2016, 4:09 p.m. I just finished putting this together. Hopefully I'll get out and test ride it tomorrow! red dead redemption 2 - Oct. 23, 2016, 10:48 p.m.
Never played RDR1 so it would be nice to try 2 out. I refuse to buy a console. RDR is so good. It's worth it to beg/borrow a XB360 and have a play through. New CHEAP tire day! - July 13, 2016, 6:58 a.m.
My favourite cheap tire is the Forte Pisgah. The rubber is sticky enough and the tread does a good job of biting in.